ShipStation is a web-based application which streamlines shipping tasks for online retailers to save them time and money. ShipStation allows for order imports, bulk label printing and customization to fit any size business. 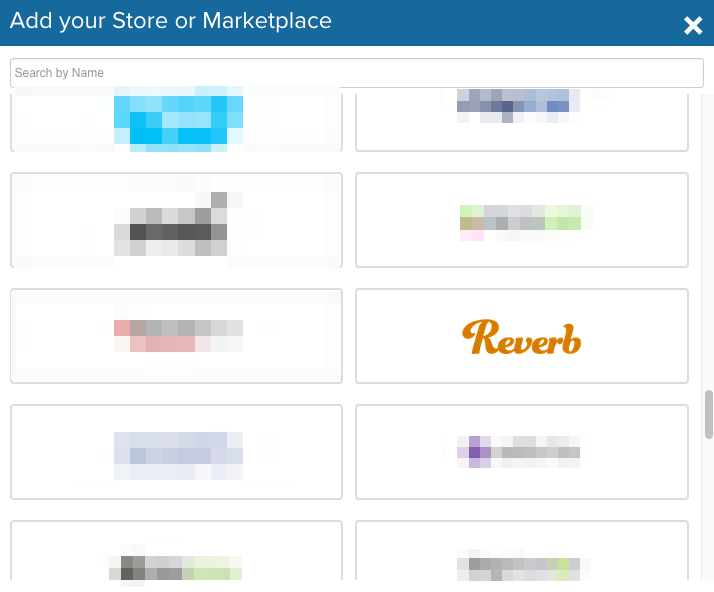 ShipStation is integrated with Reverb.com as well as other widely-used platforms such as Etsy, Paypal, Amazon, Shopify and Magento. Use ShipStation to quickly print labels and obtain shipping rates for UPS, USPS and other popular shipping providers. 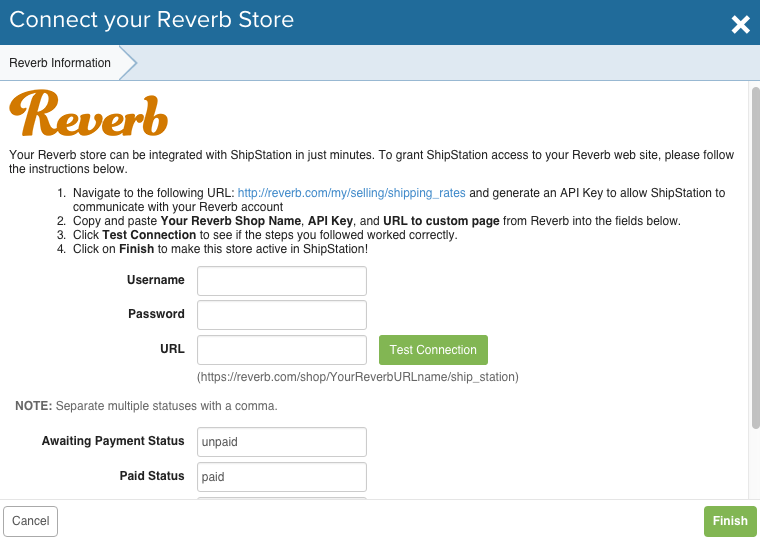 Syncing ShipStation with your Reverb account. 1). Create a ShipStation account if you do not have one already. When viewing your ShipStation home page navigate to your “Account Settings” in the upper right. Then, go to Order Management, Selling Channel, and click Connect a Store or Marketplace. 2). Scroll down, and select the option for Reverb. Password = API Key Provided by Reverb.com. To get your API Key, visit your shipping settings and press the Generate Shipstation Token button at the bottom of the page. 4). From there follow the prompts and input the requested personal information, and your Reverb account will be connected with ShipStation!